Store brand cleaning products are super expensive. Over our lifetime, we spend thousands just to clean our homes and cars! There are lots of easy ways to make your own household and automobile cleaning products that will save you big bucks through the years. Even better, most of the DIY options are green options along with being easy on your wallet. 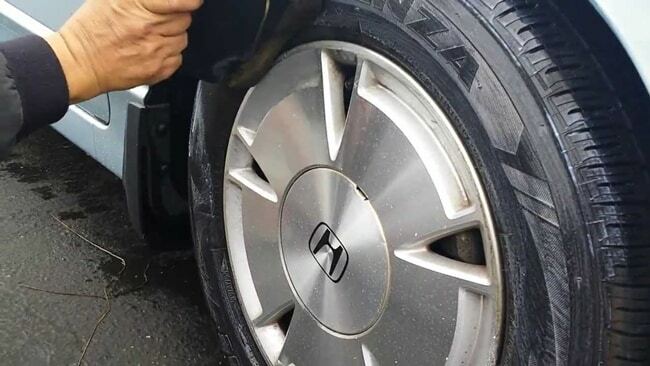 Today, I want to share with you a couple options to make DIY cleaners for your car such as a homemade tire shine solution. My other tip is to clean your dirty headlights. Both are great projects for the upcoming weekend. All you have to do here is rinse out an old plastic spray bottle and add the four ingredients. Shake the mixture together well before you apply to your tires, interior and dashboards. Make sure to spray the mixture and wipe with a clean towel for the best results of the homemade tire shine. My other awesome DIY car cleaning tip is to use toothpaste to clean your headlights. What you need to do to pull this off is to tape off each headlight. Use an old towel to dab on the toothpaste. You must spend a few minutes on each headlight. Rinse between each application. You will get amazing results. Homemade headlight cleaner is much cheaper than buying the store headlight cleaning products.